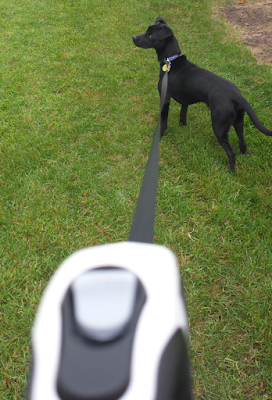 Here is my review of the Esky® Retractable Dog Leash with Ergonomic Handle (13ft model). I have a one year old puppy called Boo-Boo. 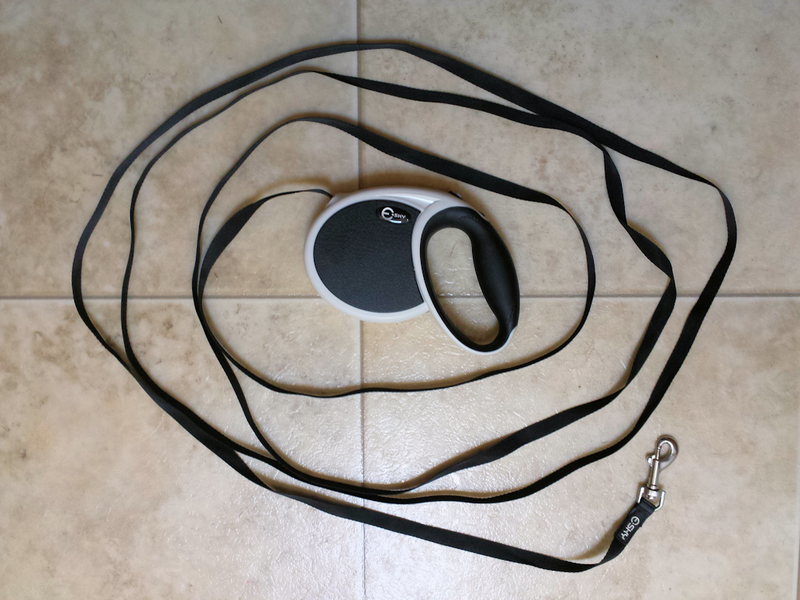 He is a terrier mix who weighs 25 pounds and is full of energy so this leash, which is recommended for dogs up to 45 pounds, seemed ideal for him. The packaging was nicely presented and easy to open, and I even forgave the spelling/translation errors in the directions on the back of the package. Before taking a chance and letting the dog go crazy outside, I tugged on the leash to test it's strength and the strength and effectiveness of the locking mechanism. I was suitably impressed and then attached it to Boo-Boo's collar. He was a little uncertain at first and tried biting at the tape (that's what they call the extending leash part of this gadget). It stood up to his chewing, which is great because this guy can take apart a puppy toy in under an hour. The handle is ergonomic, just as the description suggested, and it stays comfortable in the hand even on long walks. The locking button sits in an easy to reach spot on the handle. The tape extended and retracted smoothly, and once I got the hang of pushing and pulling the switch to lock and unlock the tape, things went well. The tape will not retract until a little tension is applied when unlocking the leash. Not sure if this is a mechanical flaw, or just the way the leash works, but it's not a big issue for me. Boo-Boo loved the freedom to wander a little further than with his old standard leash, and I found that he wasn't jerking my arm so hard given all that extra leash to play with. We had a good few weeks and some great walks until he saw a rabbit and bolted after it. This little guy is fast and strong for a 25 pound dog, and before I knew what was happening, he had extended the leash to it's full 13 feet and the handle made a crunching sound and locked up. It wouldn't extend or retract and I was worried that if Boo-Boo bolted again, the tape would separate from the handle and he would be gone. I was forced to carry him all the way home because I didn't trust the leash not to break further. 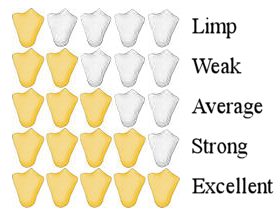 This was a five star product up until this happened. 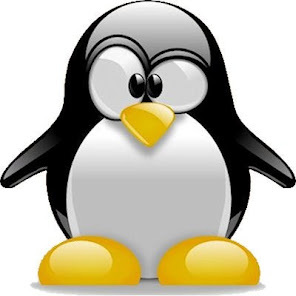 Overall I was very satisfied with the performance of this product until it failed. Whether this is attributed to user error or a design flaw, I cannot say. I would recommend this product to people with dogs who are not likely to bolt after wildlife, since it did exactly what it said on the box. 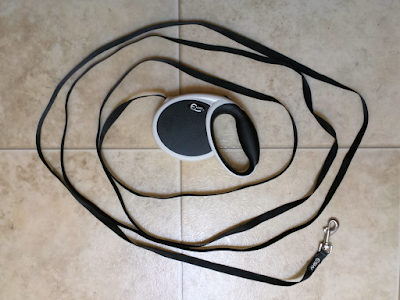 If you have a more rambunctious animal then possibly skip the retractable leashes for now.